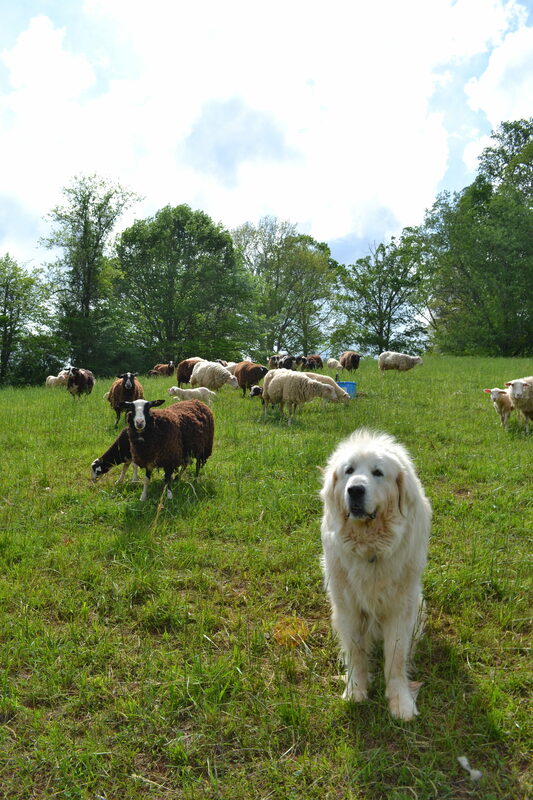 Our farm is 25 acres of hill pasture in Madison County, about 30 minutes outside of Asheville. We are in our 3rd year of setting up a sheep dairy on our land and our hope is to be certified Grade A by spring of 2020. 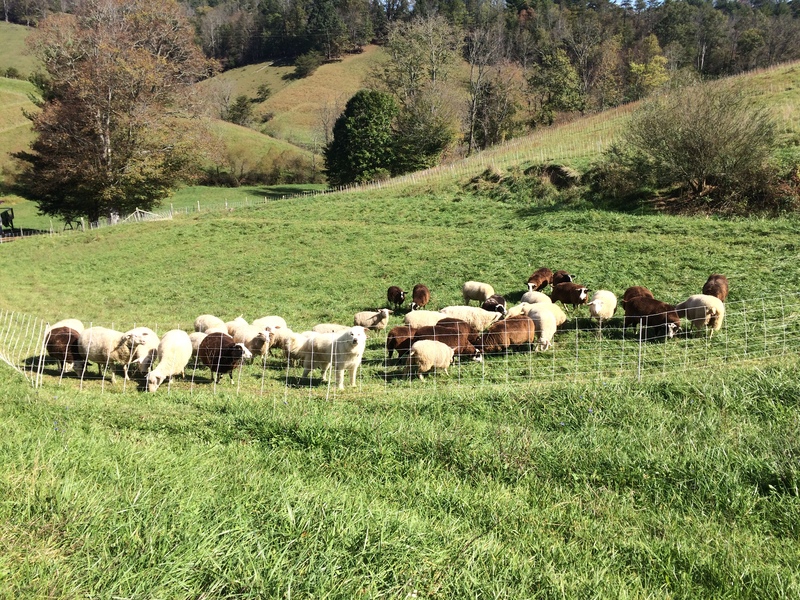 We currently sell raw sheep milk and sheep milk yogurt under the new NC herd share agreement. We raise a total of 75 East Friesian sheep: we milk 40 ewes, keep a yearling flock of about 15 ewes and we raise out our ram lambs for meat (about 20 lambs / year). In addition to the sheep we raise 50 laying hens and plan to raise a few hogs a year for our own consumption. We sell at two weekly tailgate markets in Asheville and are looking to expand to wholesale in 2020 when we certify Grade A. We currently have wool products and sheep skins for sale. We are looking for a farm intern who can commit to March 1st, 2019 - November 1st, 2019 at 30 hours / week. We have full farm days Tuesdays and Thursdays from 8a.m. - 5p.m. with an hour lunch break. In addition to these work days, other hours will include taking 5 milking shifts / week (either in the morning or evening) and selling at tailgate market as needed. Other farm work will include: A LOT of fencing work (we intensively graze and use moveable electric netting), daily chores, animal care, all help with lambing and weaning, some construction work, mowing and weed-eating. We offer the use of a full-size RV and we pay utilities. The RV is parked on a ½ acre of flat lovely land by the creek with its own drive. You’ll be sharing the land with one other family with 2 small children who rent space there to park their bus. It’s important to maintain a good relationship with them, be mostly quiet in the evening, and be respectful and sweet to little kids. There is established garden space at the RV and you’re welcome to grow as much of your own food as you can! You’re also welcome to lamb, dairy and eggs from the farm - we will set up a $ amount for this each week. Our farm is a member in the CRAFT network. We live in a beautiful part of the world! We're 30 minutes to Asheville, 10 minutes to downtown Marshall, 25 minutes to Hot Springs and the Appalachian Trail and 45 minutes to the Great Smoky Mountains National Park. We live on a dead-end road and we have an amazing community of neighbors. We are open minded people who love to work hard, laugh and learn from others. This work is very repetitive (especially the fencing) and in the middle of summer it is very hard work to hike the hills with rolls of fencing. A good sense of humor and a willingness to find value in this work is a must. We are still new to sheep dairying and we are still figuring out the best system for our farm so patience and a willingness to share your thoughts is key. You must also have awareness and respect for animals and all others who come to work on the farm. Ideally you're comfortable with power tools, mowers, weed-eaters, etc. Having your own transportation will make your summer most enjoyable! To inquire about employment opportunities, please contact Andrea VanGunst (farm owner/operator) by phone during the day or by email. We welcome visitors but would like this to be by appointment out of consideration for our schedule. Please contact Andrea, either by phone during the day or by email, to arrange a time to stop by.